About Voices of the Majority. Previous posts: here. Updated 8/16/18. We’ve been married long enough that I knew she was kidding, and I knew she was on board. So what’s any of this have to do with Voices? Hope and change! 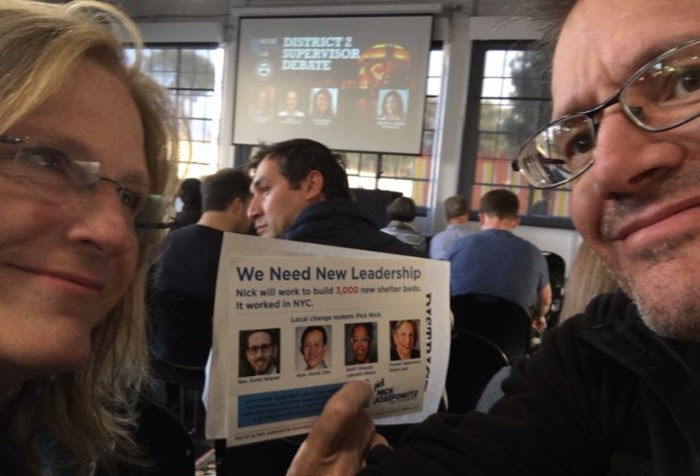 On a Tuesday evening when Twitter was captivated by a president name-calling a no-longer-loyal assistant a “dog”, we found a standing-room-only all-ages crowd glued to three impressive young democrats in a down-ballot race debating solutions to homelessness and housing affordability. And just so you know, we capped our anniversary evening with dinner and live music in North Beach, so my faux pas was fo’given.